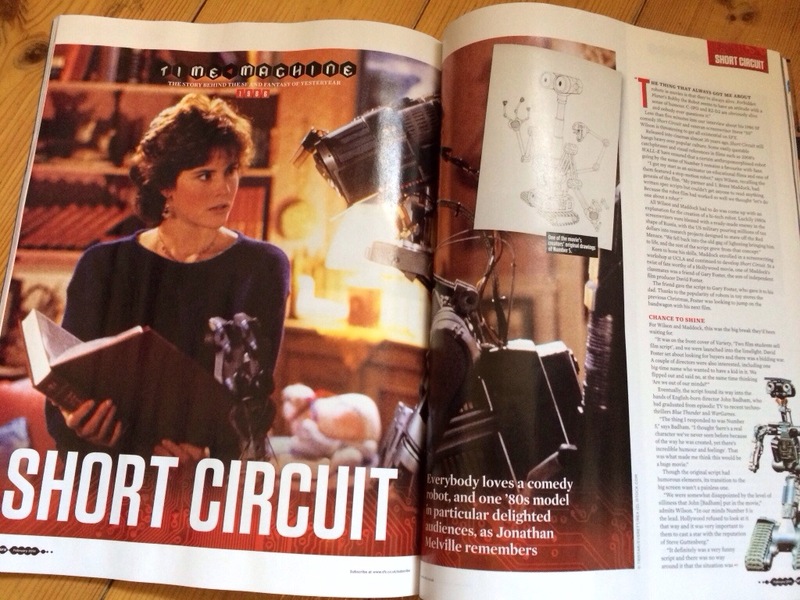 It’s been a couple of years since I last pitched a feature to SFX magazine (that was Tremors in 2011), but I’m back in February 2014’s issue with a new article on 1986’s Short Circuit. I carried out interviews with the film’s co-creator, SS Wilson, and director, John Badham, and discovered the origins of Johnny Five plus the behind-the-scenes battles to get the film from script to screen. The feature also examines the second film and looks ahead to a possible continuation of the franchise. Both men were able to supply rare photos and design material from their own archives to help illustrate the feature, making it something special for Short Circuit fans. The magazine, issue 243, is now available in the shops or it can be downloaded from the iTunes app.